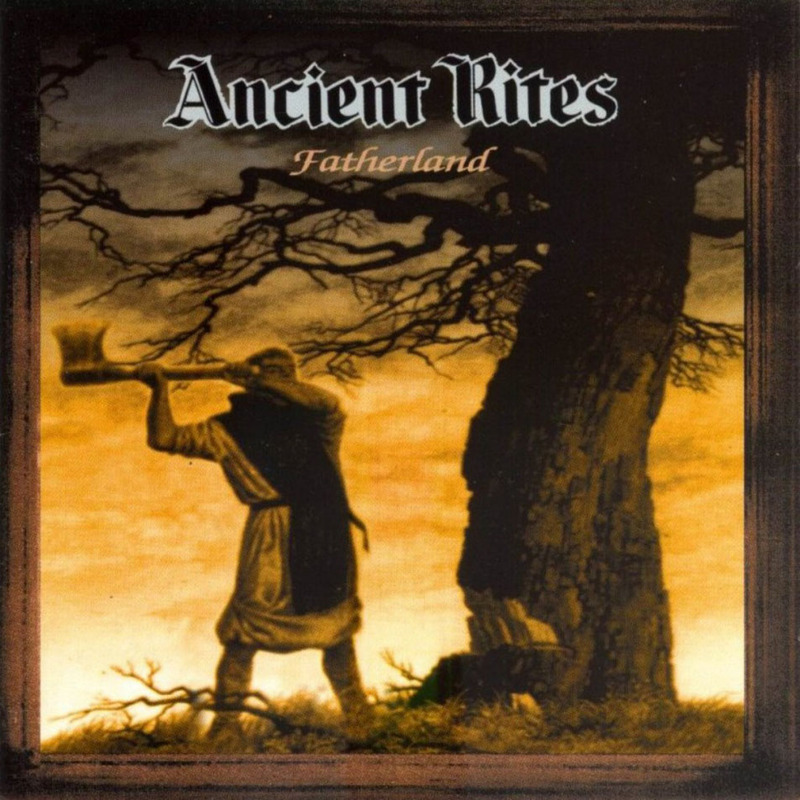 The fourth Ancient Rites album sees the band fully cultivating the epic power metal sound they first debuted on “Fatherland”. Being the second record of the band’s international phase, it fully embraces the influence of its guitarist duo – and builds upon the atmospheric keyboard embellishments and medieval interludes that the preceding record introduced. It is without a doubt the most diverse Ancient Rites to date, but also the least associated with the archetypical black metal sound the band had helped shape early on. If anything, it is a highly recommendable and fully realized exercise in glorious epic power – and traditional metal that recombines the best of its genres of choice. Carcosa is a fictional city in the Ambrose Bierce short story "An Inhabitant of Carcosa" (1891). The title that Ancient Rites use here is derived from the Robert W. Chambers short horror story omnibus “The King In Yellow” that was published in 1895. The city is mentioned in ‘Cassilda’s Song’ in the second scene of the play’s first act. The lyrics still deal with ancient European (and Scandinavian) history, folklore and mythology, as always there’s an undercurrent of anti-religious sentiment, but it is secondary to the historical accounts of European antiquity. In a lot of ways “Dim Carcosa” is a refinement of “Fatherland” in concept and production. The second time around all the pieces fall in place, with the band being more together musically, and the production being fuller. The biggest improvement over “Fatherland” is the production, which sounds a lot meatier and crispier than the rather inert and flat sound of its predecessor. The bass guitar tone is a lot more thundering, and it is interesting to note that this was the last album to feature frontman Gunther Theys handling the instrument next to providing the vocals. At this point the black metal aspect of Ancient Rites’ music was negligible at best, and besides Gunther Theys’ vocals and lyrics there’s little to tie it to the genre. Sprooten and Yrlund have grown confident in their place, and the traditional metal influence is nowhere as prominent in the Ancient Rites discography as it is here. The keyboards are integrated better into the songs and no longer feel as a mere afterthought. Perhaps this was due to the band attracting the talents of Domingo Smets, who would switch instruments within the ranks at a later stage. In its more glorious moments the music occasionally reminds of a more refined, cultured and less over-the-top interpretation of early Children Of Bodom (without the excessive soloing, haphazard song contruction and nearly incoherent lyrics). Some of the more keyboard-dominated sections sometimes border on early Bal-Sagoth territory, but in general they are far and few. Once again the band recorded at Spacelab Studio, Germany with long-time producer/engineer duo Oliver Philipps and Christian Moos with Jan Yrlund co-producing. The second time around the studio led to what is often considered the band’s best production. “Dim Carcosa” sounds much fuller, weightier and concrete tonally than “Fatherland”, which sounded rather limp and flat. The guitar tone is much thicker and crispier, and the more prominent bass guitar in the mix finally gives the band its much needed bottom-end heaviness. The digital but surprisingly powerful drum tone has significantly improved since the last outing. While the drums sound significantly better than on the preceding album they still are on the sterile side. On the whole it sounds as if Phillipps and Moos understood the type of sound Ancient Rites were looking for better the second time around. For the first time guitarist Jan Yrlund was tasked to handle the artwork and layout. Fitting in with the band’s increased visibility on the international market this was a wise choice, as the artwork fits splendidly with the ancient European history theme the band had been pushing since “Fatherland”. In just a few years Ancient Rites underwent a staggering transformation. “Dim Carcosa” is as far removed from the crude death/black metal of “The Diabolic Serenades” and the seminal “Blasfemia Eternal” as you would reasonably assume. Despite the stylistic changes Ancient Rites never lost any of its character, or charm. Even though half of the central songwriting axis had moved on in years prior the new membership made the transition smooth, even if it meant delving into new, and previously uncharted, territory. After two more underground sounding albums Belgian black metal combo Ancient Rites underwent somewhat of a stylistic transformation as its line-up became trans-European. “Fatherland” is a transitional chapter for the band as the record sees the induction of international guitarist duo Erik Sprooten (previously of Dutch speed/thrash metal band Inquisitor) and Jan Yrlund (of long-running Finnish thrash metal act Prestige). Along with a wider array of vocal styles used by Gunther Theys, it is the band’s progression into more traditional - and power metal territory, and steadily away from the crude death/black metal of the past. Moving into the opposite direction of the first two albums “Fatherland” prominently incorporates atmospheric interludes and has an increased keyboard presence that greatly enhances the medieval feeling the band aims for. For the first time in the band’s history they had two guitarists replacing the defected Bart Vandereycken. Debuting on “Fatherland” are Dutch guitarist Erik Sprooten and Finnish guitarist Jan Yrlund. In comparison to the wholly death metal, and very angular riffing style of Bart Vandereycken, the duo is more fluid and power metal influenced. A greater prominence of traditional metal solos is a notable improvement compared to the rather sparse nature of the preceding two records. The improved guitar work also gives drummer Walter van Cortenberg more to work with and that results in a spirited performance on his end. The songs themselves aren’t necessarily longer, but they are more dynamic in composition, and atmospherically richer than those of the preceding two records. The expanded dynamics along with a more varied and versatile vocal performance by frontman/bass guitarist Gunther Theys, and the continued linguistic expansion make “Fatherland” a more nuanced and sophisticated effort all around. The lyrics reflect the musical transformation as they deal with ancient European history, folklore and mythology instead of the Satanic and occult sentiment that was the central thematic on the previous two albums. ‘Avondland’, the nearly minute and a half long intro track, derives its title from the Fenician name for the olden European continent. ‘Aris’ is about ancient Galicia, specifically Eburones warlord Ambiorix who resisted the forces of Julius Caesar during the 19th century. ‘13th Of October 1307’ is details the systematic elimination of the Knight Templar and its Order by King Phillip IV of France. ‘Fatherland’ is a celebration of the band’s homeland Belgium in the cultural sense, while ‘Rise and Fall (Anno Satana)’ is about key events in warfare and conquest during history. ‘The Seducer’ is a vastly reworked interpretation of the song ‘Fallen Angel’ from the band’s 1990 “Dark Ritual” demo tape. It is the second of two instances wherein Ancient Rites would re-use said track to thematically tie its albums together. 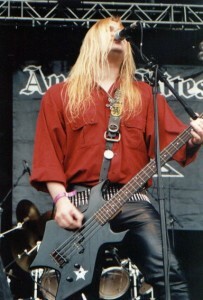 The track features guest vocals by Impaled Nazarene frontman Mika Luttinen. As mentioned previously the anti-religious sentiment is still present through out these lyrics, but it is less confrontational than it was on this band’s earlier records. The air of intelligence, sophistication and worldliness is exactly what makes Ancient Rites leagues better than its contemporaries of Enthroned who mastered goofy end up the spectrum at this time. There’s an increased presence of atmospheric synthesizers and medieval sound embellishments courtesy of producer Oliver Philipps that greatly add to the aura of “Fatherland”. While these keyboards and synthesizers add wonderfully to the intended epic medieval atmosphere, they also tend to be overbearing and, at worst, unnecessary. Each of these songs works perfectly on their own merits without them. Where the past two records were suffocatingly dark and morbid affairs, “Fatherland” – mostly due to its increased production values and keyboard presence – is anything but. “Fatherland” is atmospheric above all else, and even lighthearted with its playful galloping riffs and medieval melodies. The only thing that roughly classifies as black metal is Gunther Theys’ serpentine rasp. The riffing is steadfast of the traditional -, thrash – and power metal variety – and Ancient Rites only blast sparsely when it fits the moment, and the song. The midtempo allows the songs to breath more, and puts focus squarely on the engrossing melodies and nuanced guitar work. As with “Blasfemia Eternal” there’s additional instrumentation to be found. Returning once again is session studio flutist Ellen van Wauwe on ‘13th Of October 1307’ and there are more piano melodies. ‘Season’s Change (Solstice)’ starts out with a very tasteful acoustic section. Like the two albums preceding it “Fatherland” and its successor are tied together through the usage of a recurring melody first heard here in the minute and a half long intro ‘Avondland’. For the first time Ancient Rites recorded at Spacelab Studio, Germany with producers/engineers Oliver Philipps and Christian Moos with Jan Yrlund co-producing. “Fatherland” comes with an overly polished digital production that sacrifices bottom-end heaviness, crunch and weight for modern sheen, sterility and depthless clarity. The bass guitar, a sturdy but unremarkable presence on previous outings, can be made out but it is often buried under the crunchy guitars and keyboard flourishes. A bass guitar tone such as on “Symbolic” by Death, or as on “Utopia Banished” by Napalm Death would have worked wonders for this record. The drum production is a mixed bag with the toms and snares sounding clean whereas the kickdrums are utterly impotent and reduced to mere typewriter clicks. While the various parts of the drum kit sound better than before they don’t sound very commanding. Couple this with the adequate but often buried bass guitar tone “Fatherland” sounds pristine but also kind of flat. The lack of any concrete bottom-end heaviness, either through usage of a more pronounced and weighty bass guitar or massive kickdrums, robs the effort of its intended visceral impact. Complementing the improved musicianship and more ambitious compositions are more striking and better realized visuals. In terms of photography and layout “Fatherland” is a step up from the times of “The Diabolic Serenades” and “Blasfemia Eternal”. For this session the artwork was taken from a canvas by Belgian painter Jean-Léon Huens. Huens’ art was already commissioned earlier on “Blasfemia Eternal”, but Huens artwork fits seamlessly with the band’s historical and ancient Europe concept. “Fatherland” is a commendable return for a band that underwent a major line-up change. Its subsequent stylistic transformation is pulled off far more gracious than most. Even though this is a farcry from the previous two albums “Fatherland” offers a wider palette of styles and sounds – and even the overwhelming keyboards have their charms. 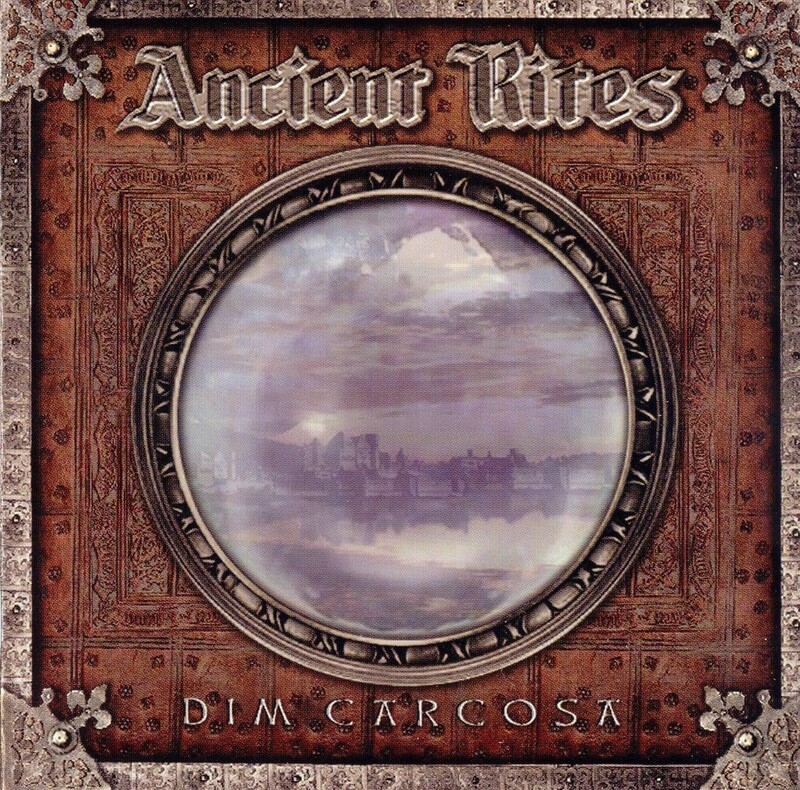 At this point Ancient Rites had become an epic traditional metal band, and their sound had become so much more powerful and engrossing in spite of losing the violent underground charm of its early phase. As a transitional record “Fatherland” sees the successful transformation of a crude death/black metal trio into something altogether more interesting. Despite the lyrical and musical changes Ancient Rites lost none of its character, which is never evident when a major line-up shift occured as was the case with this record.